The Abu Dhabi International Petroleum Exhibition and Conference, UAE, 13-16 November 2017. Kindly welcome to visit us at stand 312 in hall 12! DONIT TESNIT d.o.o is a leading manufacturing company that supplies extensive range of high quality static sealing products and associated offering sealing solutions to almost every segment of the industry. The close interaction with our customers, providing innovative, high performant products, extensive competence in application engineering helps us to better understand their needs. Our key markets are refinery, petrochemical, chemical, water & power, pharmaceutical, marine & shipbuilding. With more than 70 years of experience offering products to the highest international quality standards, Donit has become a well-established brand. 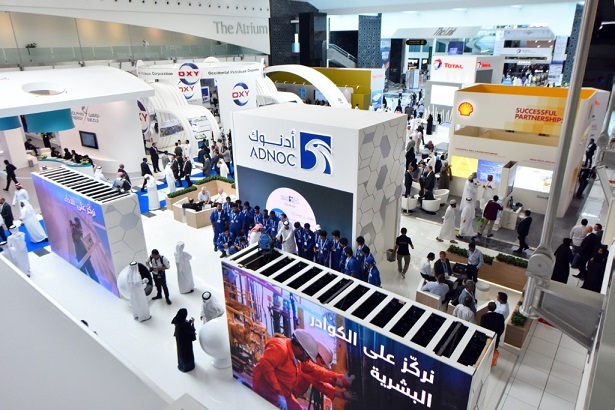 Last year’s ADIPEC with its immaculate organization proved to be a perfect platform to illustrate and explain our growth strategy for this region, so the decision to participate again this year was easy made. The Middle East with its Oil & Gas market is still a very influential region to benefit from its business opportunities. With more demanding requirements in production technology, application, safety and environmental control, we are committed to grow in the region. Our aim at this year’s ADIPEC is to increase our presence in the Middle East, alongside with our well established local partner, Spira Power Gasket Manufacturing. By launching our new products & services we hope to find new leads and resources, to meet and greet existing customers and global partners to show our support to Middle East Market. At our stand 12312, we will unveil our latest innovative products and services such as MultiForce and Spectrum gasket materials that offers optimum performance in high demanding applications. One of the many outstanding properties of both gasket sheets is easy handling & cutting which will be demonstrated at the booth. Our new on-line gasket calculation software program will be presented as well. With presence in more than 75 countries, European quality and more than 200 employees dedicated to support you, we are a true partner for your success!